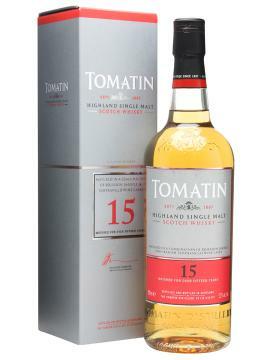 A limited edition bottling of Tomatin 15 year old. This Tomatin was matured in Bourbon casks and finished in Spanish Tempranillo Wine Casks. Finish: Long sweet creamy finish, the best part of the dram. Overall not the most balanced dram, The body doesn’t do the nose or the finish justice.